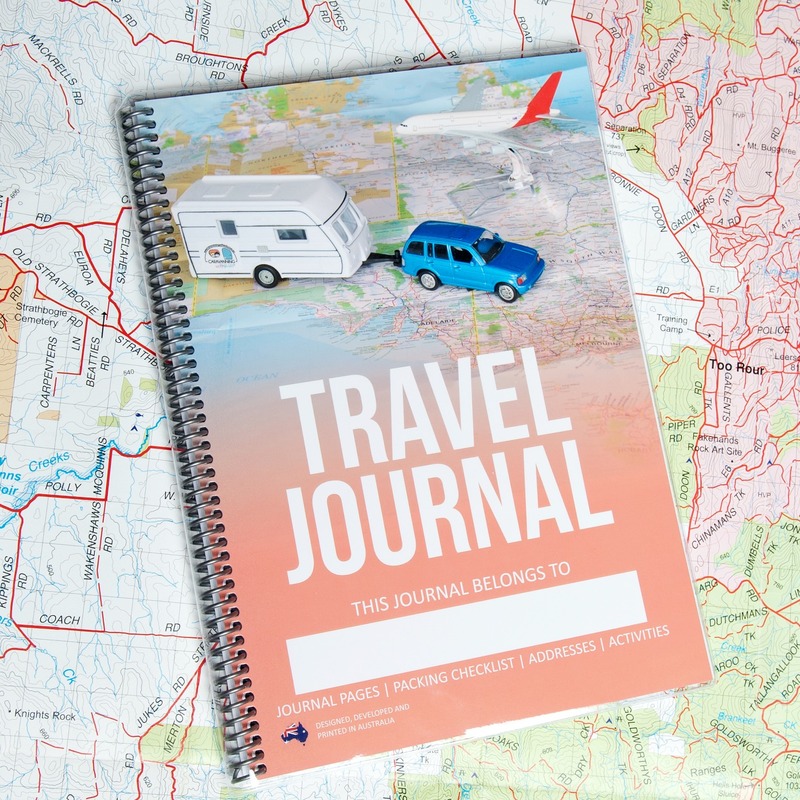 Knowing that thousands of families across Australia (and a couple in NZ, the UK and USA) are loving and enjoying our Australian Made Travel Journals make our hearts burst every single day! Our Travel Journal lived in my head for many years, a thought, that one day I would turn it into reality. When I first pitched the idea to Wayne, I expected him to say “are you nuts?”, but instead his response blew me away; “I love the idea, let’s do it together”. What followed was a rollercoaster year of planning, research, design, hurdles, hiccups and barriers that tested us….and made us stronger. Those of you out there who run a business with the love of your life will totally understand the ‘testing’ times. 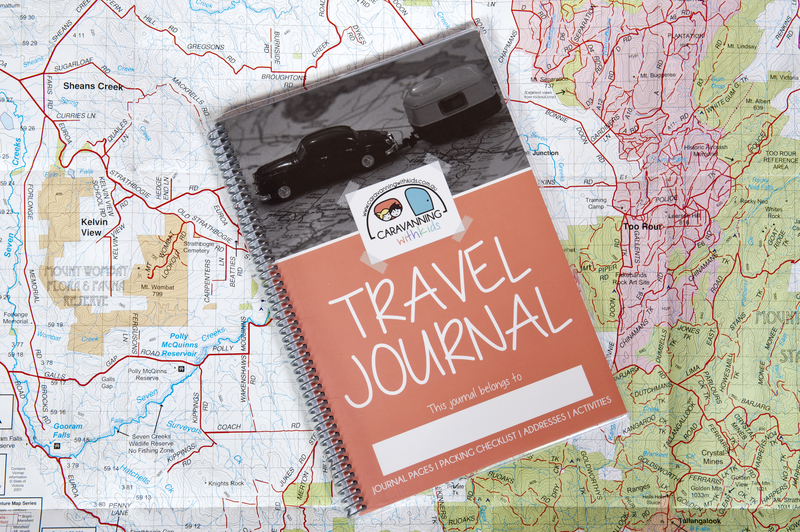 Getting our Travel Journal from my head to real life would not have been possible without my graphic designer and good friend Roxy from Rocko Designs. We had previously worked together on other projects and she just gets me! She could read my mind, decipher my scribbled drawings and was so patient with me as we went back and forth and back and forth till we got it right. 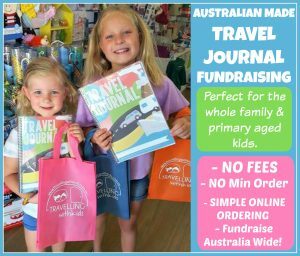 Many people suggested that we would never be able to print onshore, that we would have to go to China or somewhere overseas, despite desperately wanting to make our Travel Journals Australian Made. Our response to this… Screw it! 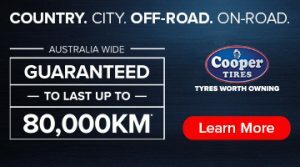 They have to be Australian made…we WILL make it happen! It is important to us to support our local businesses and communities. Living in a small country town, we understand the importance of shopping local and using local services. As we headed into our third print run, our decision could not be changed. 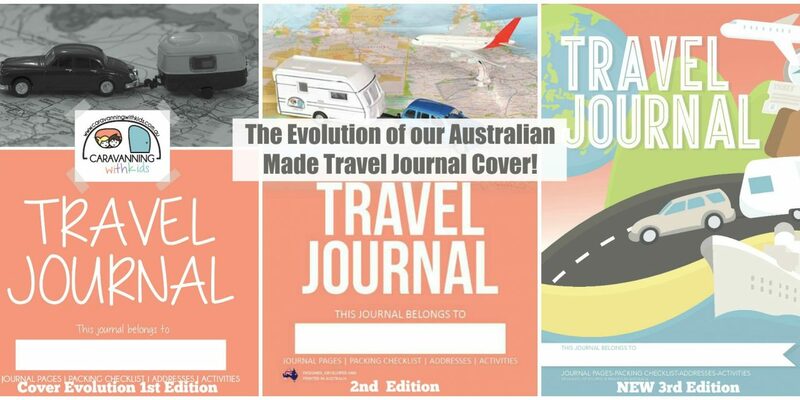 We were sticking with our local printer, ensuring our much loved Travel Journal remained Australian Made. Our first cover design was a true reflection of where we were as a business at the start. 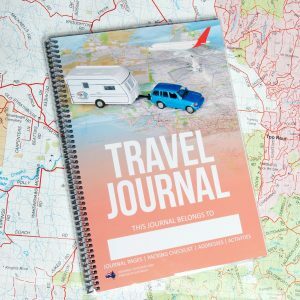 Caravanning with Kids was in launch phase and we were so excited to be turning our Travel Journal into reality that we were a little naïve about the impact a few features might have. It was suggested that having our Caravanning with Kids logo slap bang in the middle might put other travellers off buying one. 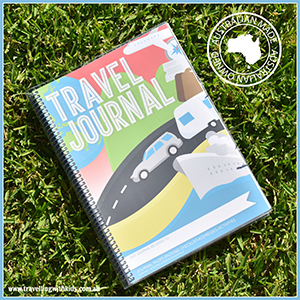 Wayne and I laughed and said that people will ‘get it’, they will understand that our Journals were for ALL types of adventures and not just for caravanning, that Caravanning with Kids was just our brand. Ok…rookie mistake and something that we now laugh about. During this time, I always had in the back of my head that we would need to change the cover, it would be a smart move. 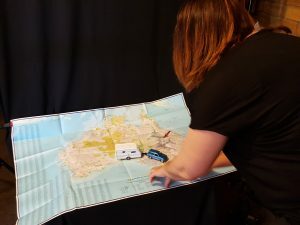 We also put www.travellingwithkids.com.au on the back burner…would we ever get the time to launch it this one too? 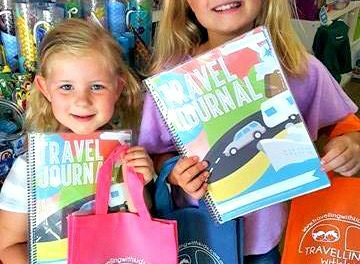 Fast forward to the end of 2015 and our Travel Journals were in the hands of thousands of families across Australia – yes, mainly caravanners and campers, but this was AOK with us as we had worked hard to build the Caravanning with Kids community and were absolutely thrilled with our little creation. Time to go to print again and I had a vision – we loved the map from the first cover, but I wanted it to be a map of Australia – easy, lets buy a toy caravan, car, plane, boat, tent and throw them on a map, take a photo and hey presto! Our new cover! Arrhhhhh, it did not quite work out like that. After a few weeks with our photographer and toys that were the wrong dimensions, we ended up with only the caravan and the plane but we loved it anyway. Adding the plane will show all our potential customers that they are for ALL types of travelling… right? Early 2016 and we launched our NEW cover design – it received rave reviews. We loved it as it was our photo used and our Caravanning with Kids logo was on there too…just a little bit smaller. Deep breath! We loved them and we knew the majority of families would get it…and they did! 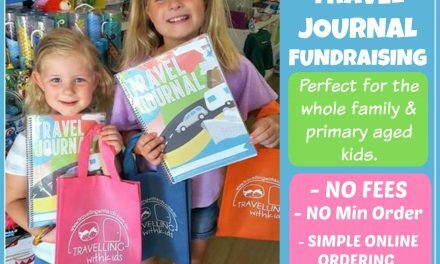 So for the families that were possibly confused, we finally launched Travelling with Kids in September 2016 and started making plans for formulating ideas for our next print run! Once again, I had a clear idea of what I thought I wanted, but turning this vision into a reality was easier said than done. We had admired the work of Marie O’Neill on numerous occasions and I met her on the Gold Coast through a mutual friend and she was lovely and so talented. We tossed around the idea of getting something designed and the thought made us want to vomit. We were about to head into the biggest print run we had done and this time it had to be perfect. Marie worked on a Mood Board for us and what she produced blew us both away. It was an illustration! Did we want a hand drawn illustration? Her ideas and influences were an exact match, she got it! She threw herself into the design and our brand and despite, never entertaining the idea of an illustration for our cover, we just felt we had to go for it. The rest, as they say, is history! Our new front cover design was officially launched at the CIA Vic Caravan Show in February 2017 and the response has been overwhelming. Our new cover is fresh, modern and incorporates all the modes of transport. A gorgeous illustration that we LOVE so much. I am pretty sure we won’t get any more messages…fingers crossed!! 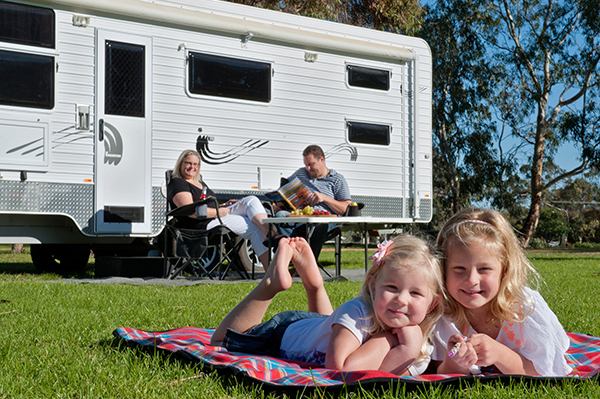 Coromal & Winsor Caravans – it’s fabulous to have these guys on board, quality Aussie vans that we love. 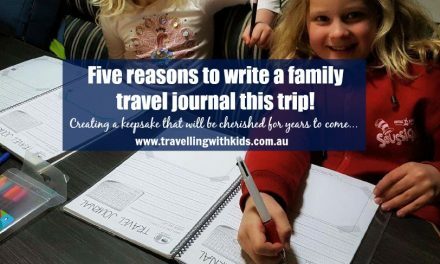 Five reasons to write a family travel journal this trip!